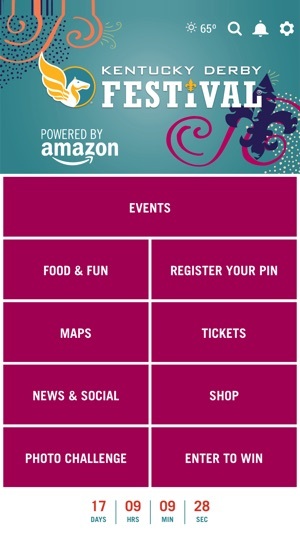 Experience one of the greatest community Festivals like never before with the Official Kentucky Derby Festival® App, available for FREE! EVENTS: We have over 70 of them! Whether you’re looking for family fun, live music, or a night out with friends, you can pick the best events for you! MY SCHEDULE – Build a schedule with your favorite Festival events. 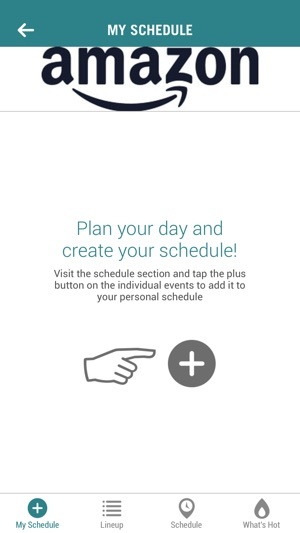 With one click, events will be added to your personal calendar for quick reference. 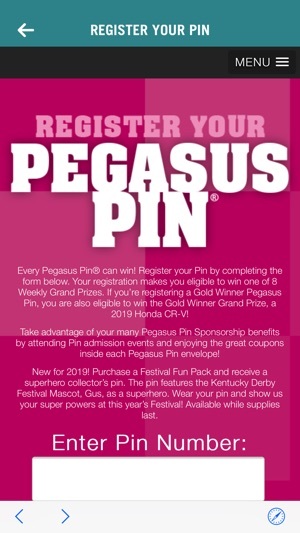 REGISTER YOUR PIN – Easily register your 2019 Pegasus Pin® to be entered to win great prizes! TICKETS - Purchase tickets to your favorite Festival events before they sell out! NEWS AND SOCIAL – Get the latest, real-time Festival updates including schedule changes, emergency information, weather updates, and more! Plus, update your status or share a photo of your favorite Derby Festival experiences. 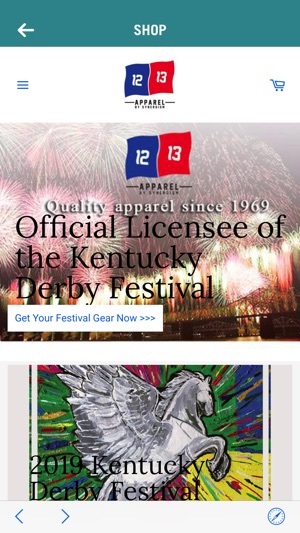 SHOP - Make sure you have the Official Derby Festival Gear. Refresh for the 2019 Kentucky Derby Festival! Great for customizing your experience! 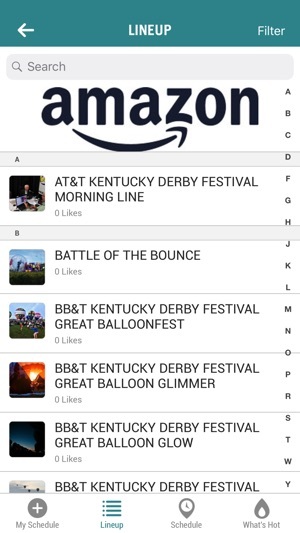 This app is great for everyone planning their personalized Kentucky Derby Festival experience. I love how it has everything I need to know, on-the-go, for all of the events. And I love the photo stamping feature and being able to share it directly to my social media! © 2019 Kentucky Derby Festival, Inc.